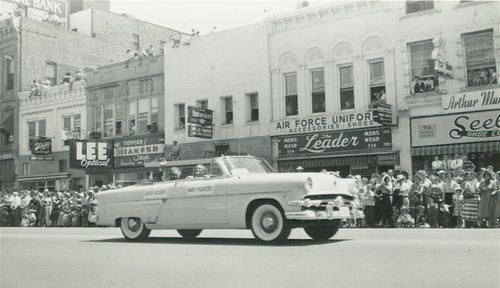 This photograph shows a view of the centennial parade, Topeka, Kansas. In describing Kansas transportation past and present, the automobile is an important innovation. Use this photograph in a sequence of how cars have changed over time.